Big Hearts announces new plans for match day presence at Tynecastle! This football season 2018/19 will host a new series of opportunities for Hearts fans to engage with Big Hearts on match days and find out more about the community work carried out by the charity. The new plans will see Big Hearts’ dedicated charity space within Tynecastle Stadium – the Big Hearts Zone – open 1 hour before each home game to host free opportunities for Hearts Supporters – starting with a focus on our Go Digital initiative at Hearts vs St Mirren on 1st September (3pm KO). Amongst the other activities planned this autumn will feature an Edinburgh Memories taster session, a Multicultural event and a Mental Health Q&A. Arts and kids’ entertainment will follow at Christmas time. In addition Big Hearts has revealed that 3 Guests Charities will be welcomed at the Big Hearts Zone this season for a chance to raise awareness of their work. Nominations will close on 1st October 2018. Click on this link to find out more. 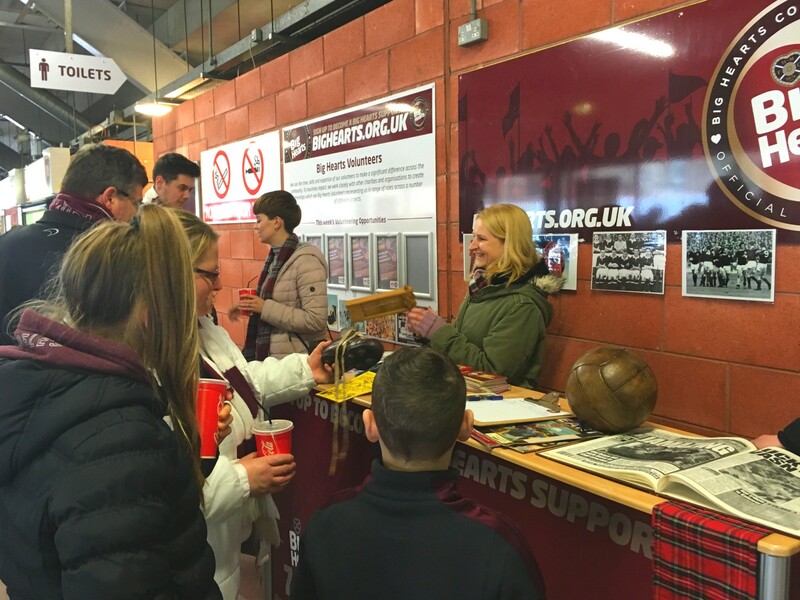 The Big Hearts zone is located on the Gorgie Stand concourse, easily accessible for the home support and only few minutes away from Gorgie Road and the Foundation Plaza on Mcleod Street.